In this tutorial we are going to open our unity scene from a native activity. To accomplish that we just need to do the exactly same steps to make an android plugin by overriding unityplayer activity, and with a slightly change we are going to change our launching activity with a native one. First creating a library project that we will override UnityPlayerActivity. Then we will add a layout to MainActivity(right now with a simple button to open Unity scene). 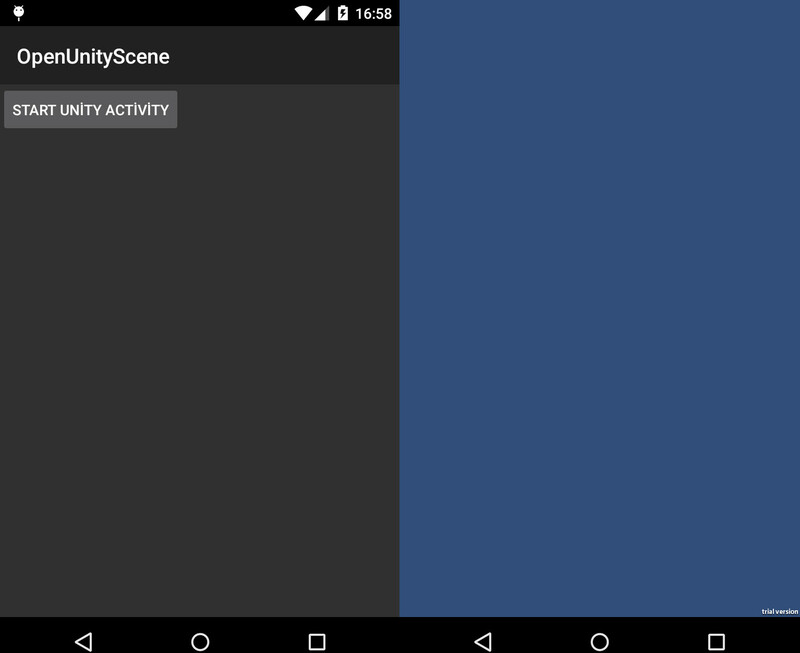 Adding android manifest to Unity project and export as Google Android Project. Importing exported project into Eclipse and testing. Like in my previous tutorials we are going to make a library project on Eclipse. Create a new project(name it whatever you want),add your package name (mine is” com.nexxmobile.openunityscene”). Mark it as a library and add your java classes(MainActivity,GameActivity) under that package name. Next add a layout for our MainActivity. I named it “main_activity.xml”. That’s all for our java side. As you can see from the manifest our launcher activity is MainActivity not our GameActivity! 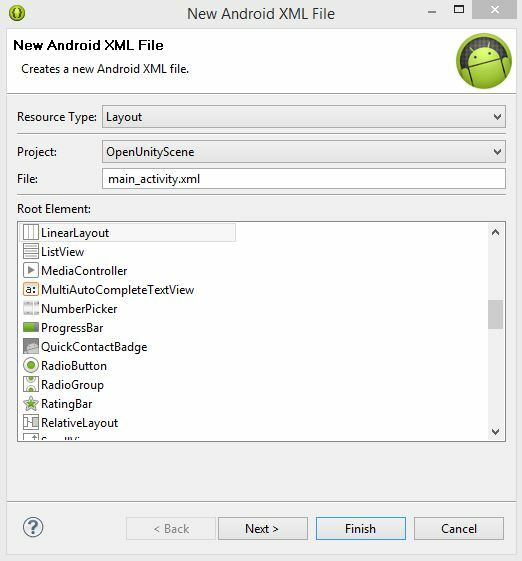 After exporting as Google Android Project, go to Eclipse and import it as an Android Project. Right click on the properties and add our library project to libraries section. Now you are ready to build and run your project. Now the project starts with MainActivity and when you press the button it will open Unity scene! At first, thank you for the article. But I’ve a question, I followed the steps but it doesn’t works fine. When I make click on the button, the app is closed and it goes at background. Have you idea of what could be happening? 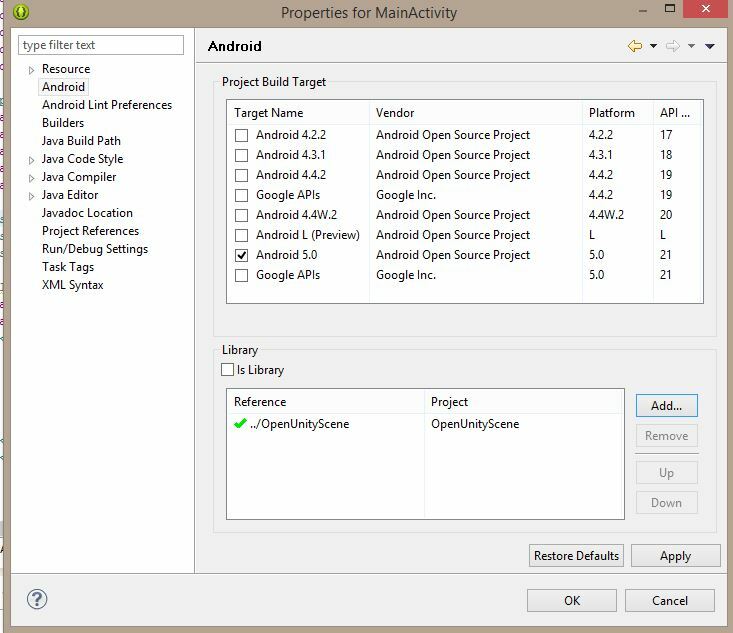 – Adding android manifest to Unity project and export as Google Android Project. When I export as Google Android Project, the AndroidManifest.xml file created by Unity does not have MainActivity included in it.